I am generally a very low maintenance chick (at least in my eyes, lol). I very rarely have makeup on and usually throw my hair up in a ponytail. I am very picky about the brands I work with and use on a regular basis. I cannot begin to tell you how excited I am to share this next company with you! 100% Pure graciously sent me over a variety of their products to review and share with all of you! 100% Pure products truly are 100% Pure. They contain synthetic chemicals, chemical preservatives, artificial fragrances, artificial colors, harsh detergents or any other unhealthy toxins. They are also Vegan made from food grade ingredients and are never diluted with any type of fillers. Most are also gluten free. 100% Pure sent me their Eucalyptus Body Scrub, Vegetable Detoxing Facial Mask, and the Fruit Pigmented Lip Butter Strawberry. The first and only words that I can use to describe these to you are WOW and Unforgettable! First off I have tried the salt and sugar scrubs from places like Bath n Body Works and there is no competition! Hands down 100% Pure's body scrub is amazing. The smell was strong and refreshing and my skin felt beyond soft after my shower. The best part is while most of these scrubs leave your skin feeling oily and greasy, this one only felt oily as I got out of the shower and quickly soaked into my skin making it even softer. 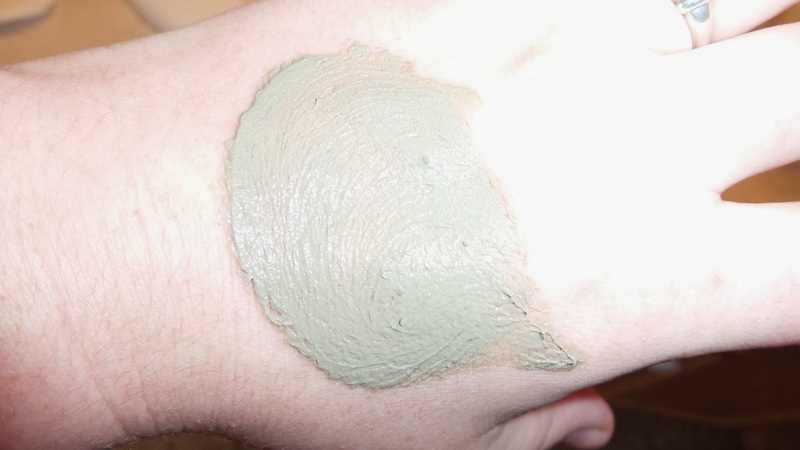 Then, I tried the Vegetable Detoxing Facial Mask and again wow! The smell was even a refreshing one, I felt like it was truly pulling out the impurities! Dane said I looked like I was playing in the mud but that made it more fun like I was pampering myself at a spa! This mask cleaned my face without drying it out and I have already begun to notice a difference in my acne after only few applications. 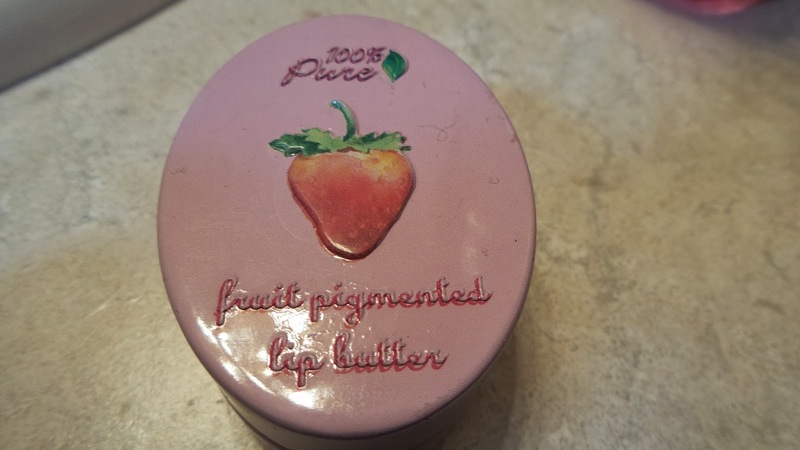 The Fruit Pigmented Lip Butter Strawberry was not only delish but a fun girlie cosmetic for me to play with! I loved how it naturally gave my lips a pinkish tone without feeling like I was wearing actual lipstick. Plus this natural formula softened my lips a ton while wearing it. I'm hooked for sure on this one, I just have to ration it until I get the opportunity to buy more! I had to quote this from the website as I felt it was enlightening, "'As much as 60% of topical skin-care products are absorbed through the skin and into the bloodstream,' Says Dr. Nancy Lonsdorf, M.D. an lowa-based physician, 'They should be consumed with the same prudence that we use to choose our breakfast cereal.' – April 2006 issue of Women's Health Magazine. There are many toxic chemicals in cosmetic products that have been clinically proven to cause cancer, tumors, irritation and many different skin disorders." Recommendation: As if you couldn't tell from the rest of my review but I highly recommend any of these products. Even with them being a little pricy you are getting your money worth in quality! Giveaway: 100% Pure is going to give THREE of A Lucky Ladybug's lucky readers a Body Scrub to try of their own! This will be part of the Ignite Your Senses Giveaway Event beginning 2/14/14.